Since Dr. Keenan opened his doors in Houston, Texas (1989), our goal has been to treat all patients with the respect that they deserve. Whatever you are experiencing, Dr. Keenan is here to help. His kind, yet straight-forward approach allows for practical solutions while also focusing on the deeper, internal roadblocks that sabotage one’s ability to succeed in all aspects of life. A qualified and caring practitioner, Dr. Keenan's approach is eclectic with experience in numerous treatment interventions, including CBI, hypnosis, relapse prevention, and stress management. Being quick-witted with a dry sense of humor, Dr. Keenan's style is low key but his focus is proactively finding a way though patients' circumstances. 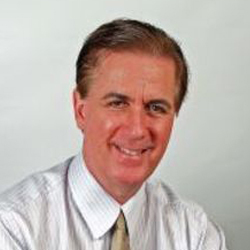 Dr. Michael J. Keenan's style is more interactive with his clients - children, adolescents, adults, and seniors - and he offers interpretations that allow people to see their current situation in a larger perspective which promotes resolution. With marriage, relationship and family therapy, his focus is bringing clarity, harmony, and healing so forward movement is possible. His office environment is warm, comfortable and confidential. Cash, Check, Health Savings Account, MasterCard, Visa, American Express, Discover. Out-of-Network provider – Call for details. Dr. Keenan specializes in Anxiety, Depression and Relationship Issues. Using a multi-dimensional approach, he works with the ‘whole person’ to help his patients lead well rounded, fulfilling lives. His goal is to serve as a conduit for healing what is at issue. He is very experienced clinically with children, adolescents, adults and family/relationship matters.